There aren’t too many learner driver laws and rules. It can however be a little confusing to know exactly what you are supposed to do, who to contact and when. Driving Test Tips makes it easy to understand learner driver laws and also the laws regarding the supervising driver. Detailed below is the process for learning to drive, what is essential legally, along with contact details for the Government agency, the Driver and Vehicle Standards Agency (DVSA). The DVSA are responsible for theory test and driving test examinations and bookings. A learner driver is entitled to drive a car from the age of 17 provided they are supervised by a full driving licence holder of the appropriate age and driving experience. This section details the various learner driver laws. You can apply for your provisional driving licence before you turn 17 so you can start to learn to drive from your 17th birthday. The law states however, you cannot apply for your provisional driving licence no more than 3 months before your 17th birthday and that you are permitted to drive only when you are in possession of your provisional licence. A learner driver is not permitted to drive on motorways. 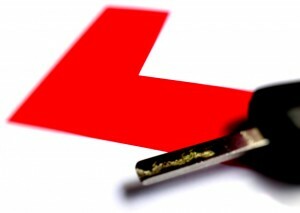 Once you are in possession of your provisional driving licence, you are now entitled to book your theory test. See below for provisional licence and theory test booking details. It is a legal requirement that learner driver car insurance covers either the learners own vehicle or the vehicle that the learner is using for driving lessons. If you are providing driving lessons for someone, it’s important that you call your car insurance provider for details on learner driver entitlement. Short term car insurance for learner drivers can be taken out if applicable. Specific learner driver car insurance is often the most cost effective due to a minimal daily, weekly or monthly cost. It’s also beneficial as it is a separate policy to your own car insurance, therefore no risk to losing your no claims. If you are providing driving lessons to a learner driver in your car, ensure that your insurance policy enables you to teach learner drivers. If it is the learners own vehicle, the learner will require car insurance coverage, it is also likely that the supervising driver will or may need to drive the vehicle at some point. If so, the supervising driver will also need to be covered. Taking driving lessons from a fully qualified driving instructor is most often necessary although providing private driving lessons can help the learner. To provide private driving lessons, there a a few laws and rules that must be followed. To ensure that the learner, other roads users will be safe and that the learner will receive a good level of instruction, the law requires the supervising driver must be at least 21 years of age and to have help a full driving licence for no less than 3 years. Supervising a learner driver means you have the same legal responsibilities as though you were driving. You must meet the same eyesight requirements as above and to be in a fit and healthy state to drive. Driving laws are applicable for a supervising driver as are the prohibited use of mobile phones. It is illegal to receive payment for driver training unless you are appropriately licensed by the Driver and Vehicle Standards Agency (DVSA). The easiest way is to apply online. The learning to drive section contains all the information on applying for a provisional driving licence. Book the theory test by phone. If you have lost the theory test certificate, call the DVSA on 0300 200 1188 or 0300 200 1122 to speak to a representative who will be able to help you. I am living in UK from one year and seven months. Am I entitled to apply for a provisional driving license? I should think so yes. The best way to find out is to look at the DVLA provisional driving licence application page as it tells you what you need on there. No, it’s illegal to drive on your own if you only have a provisional driving licence. A supervising driver of at least 21 years of age and who’s held a valid driving licence for at least 3 years is required.